Supplement maker Driven Sports is set to sell a replacement product for Craze, a pre-workout powder that tests found contained a methamphetamine-like compound. The new product is called Frenzy. The company that recently destroyed tubs of its popular sports supplement Craze — which scientists found was secretly spiked with a methamphetamine-like compound — is coming back to the market with a replacement product. It’s called Frenzy, and users who have sampled it say it’s an even more powerful stimulant than its predecessor and they rave about the kind of “rage” and “aggression” it produces during workouts. Driven Sports, the company that’s producing it, won’t say. Matt Cahill, a convicted felon who heads the Franklin Square, N.Y., company, did not respond to interview requests. Cahill has had a history of putting risky products on the market over the past 12 years, including some linked to liver injuries and death, with little interference from regulators, a USA TODAY investigation found last summer. The expected launch in March or April of Frenzy — in the wake of concerns about the undisclosed meth-like substance found in Craze — raises questions not only about the ingredients in the new product but also about the lack of any public action by regulators at the Food and Drug Administration to address the results of independent tests on Craze, supplement industry observers say. “Why hasn’t the FDA done anything?” asked Pieter Cohen, an assistant professor at Harvard Medical School who is among the researchers in the U.S., the Netherlands and South Korea who have published scientific journal articles in recent months documenting the risky meth-like compound in samples of Craze. They found that the compound — N,alpha-diethylphenylethylamine — wasn’t listed on Craze’s label and that it has a structure similar to methamphetamine, a highly addictive, illegal stimulant drug. Its effect on humans has never been tested, the researchers warned. Driven Sports has disputed the test findings by multiple independent scientific teams, saying its own tests don’t find the compound and prove the product is clean. Still, Driven Sports announced Jan. 8 that it was completing destruction of its remaining inventory of Craze. The company stopped producing Craze last summer in the wake of USA TODAY’s investigation, which prompted major retailers such as Wal-Mart to stop selling the product. Craze had been named one of 2012’s top supplements by Bodybuilding.com, which also stopped carrying it. “One of the major challenges of the current regulatory framework in the supplement industry is that, even though one product may be removed from the market, another new and equally concerning one can easily pop up,” said Amy Eichner of the U.S. Anti-Doping Agency, which oversees drug testing of Olympians and other athletes. Cohen said the only reason Craze is off the market is because of the work of academic scientists and the news media. “How could the company already be poised to launch a new product, when instead the FDA should be using all its energy to do an absolute top-down exploration of every aspect of this company?” Cohen asked. Daniel Fabricant, director of the FDA’s dietary supplement division, said he couldn’t comment about Craze or Frenzy. He said the FDA has significant concerns that supplement companies are putting new dietary ingredients on the market without notifying the agency in advance, as required, and providing some basis of the ingredient’s safety. A recent outbreak of serious liver damage linked to OxyElite Pro weight loss supplements, made by USPlabs with a new ingredient called aegeline, illustrates the risks to consumers, Fabricant said. Unlike with medications, the FDA does not have the authority to require dietary supplement companies to prove that their products are safe and effective before being sold. Under the Dietary Supplement Health and Education Act of 1994, known by the acronym DSHEA, the FDA must show that a product is unsafe before it can take any action to restrict its use or seek its removal from the market. All dietary ingredients on the market in the USA as of October 1994 are assumed safe. Any new ingredients require notice to be filed with the FDA. USPlabs first sold a version of OxyElite Pro that contained DMAA, a stimulant the company claims comes from geraniums but the FDA has said isn’t natural and poses serious health risks, including of heart attack. After the FDA detained versions of OxyElite Pro containing DMAA, the company reformulated it with aegeline, a compound found in a tree that grows in Southeast Asia. The FDA cited USPlabs last year for failing to notify the agency it had added aegeline to the product, saying it has no evidence that aegeline was used as an ingredient before 1994. USPlabs has maintained that aegeline is safe, but last fall said it would again reformulate the product. “With over 85,000 products marketed as dietary supplements, making a case-by-case determination of whether a product contains a (new dietary ingredient) is a significant burden for the agency,” Fabricant said. Although the FDA has taken action against USPlabs, it remains unclear why there’s been no action against Driven Sports or Cahill. Cahill has had a federal criminal charge hanging over him — with no public action — since August 2012 for introducing another sports supplement, Rebound XT, in 2008 that prosecutors say was spiked with an anti-estrogen drug. While the case remains open, there have been no documents publicly filed in the case since the original charges were filed nearly 18 months ago. The U.S. attorney’s office in San Francisco said it had no comment this week on Cahill’s continuing introduction of new products and why there has been no public action in their 2012 prosecution. Cahill’s attorney, Marc Ullman, did not respond to e-mails. In 2005, Cahill pleaded guilty to conspiracy to commit mail fraud and introduction of a misbranded drug into commerce for mixing a highly toxic pesticide with baking powder, stuffing it in capsules and selling the product over the Internet for weight loss. He was sentenced to two years in federal prison. Like Craze, Frenzy is a pre-workout powder that is mixed with water before drinking. It is expected to be offered to sale to the public in about six to eight weeks, according to the website of Predator Nutrition, an Internet supplement retailer based in the United Kingdom that has been a longtime distributor of Driven Sports’ products. Predator Nutrition says it has been given a “worldwide exclusive” to launch the sale of Frenzy and earlier this month began offering some of its customers free samples. The company notes on its website it ships to the United States. 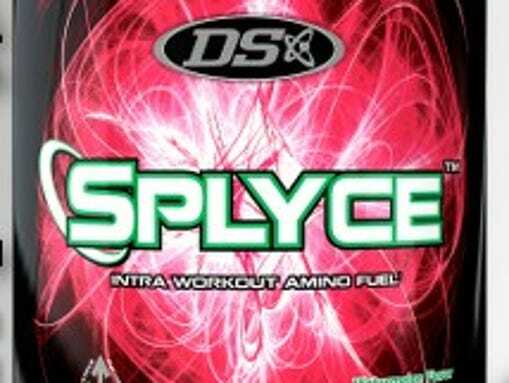 Driven Sports also will “soon” be launching a second product called Splyce, which will be sold as an “intra workout,” according to limited information and photos the company posted Wednesday afternoon on its website and Facebook page. But no details of the product’s ingredients were released. Reggie Johal, Predator Nutrition’s founder and director, declined to be interviewed this week. He did not respond to e-mailed questions about the ingredients in Frenzy and Splyce, or why Driven Sports is at least initially selling Frenzy only through an Internet retailer that is based outside of the United States. Driven Sports has posted no images or information about Frenzy on its website. “I am able to confirm that these products will indeed be stocked by Predator Nutrition once they become available to order. We do not have any further information we can provide at this time,” Johal said in an e-mail. Steve Mister, president of the Council for Responsible Nutrition, a dietary supplement trade association, said the FDA already has tools to regulate the industry. “But those tools are only as powerful as the FDA’s willingness to use them,” Mister said.